I’ve made sloppy joes a few different times over the past couple years. There were the rather unique Bombay Sloppy Joes, featuring pistachios, raisins, and cilantro (so good!!). 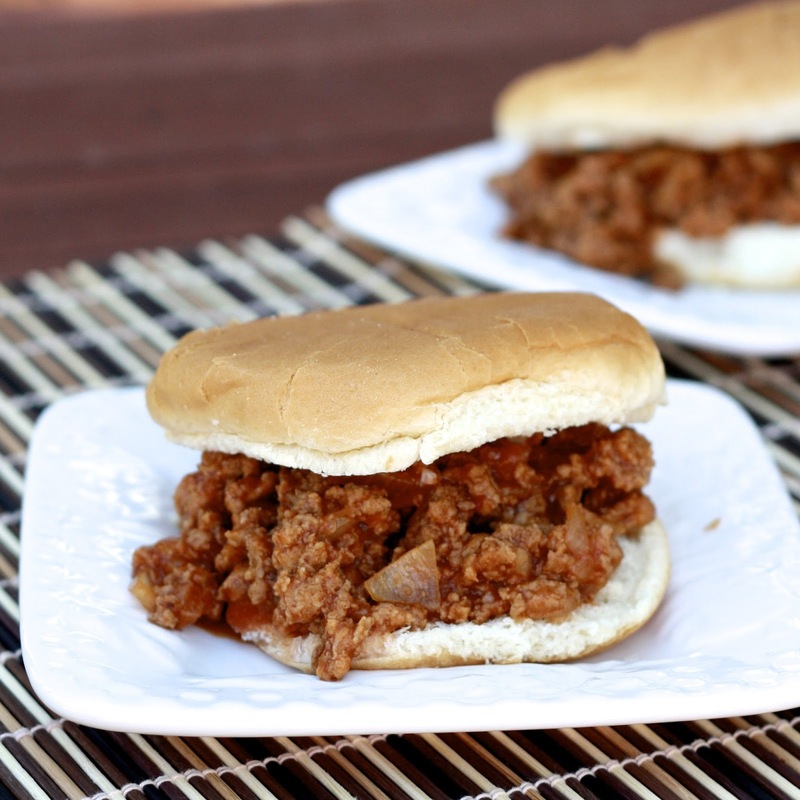 Last year I made the Buffalo Sloppy Joes which are a must make for any buffalo wings fans! This time I stuck with a more traditional joe. These are hardly more difficult than opening up a can of the premade sloppy joe mix, but they taste infinitely fresher. The type of BBQ sauce you use will impact the flavor quite a bit, so use one you really love. 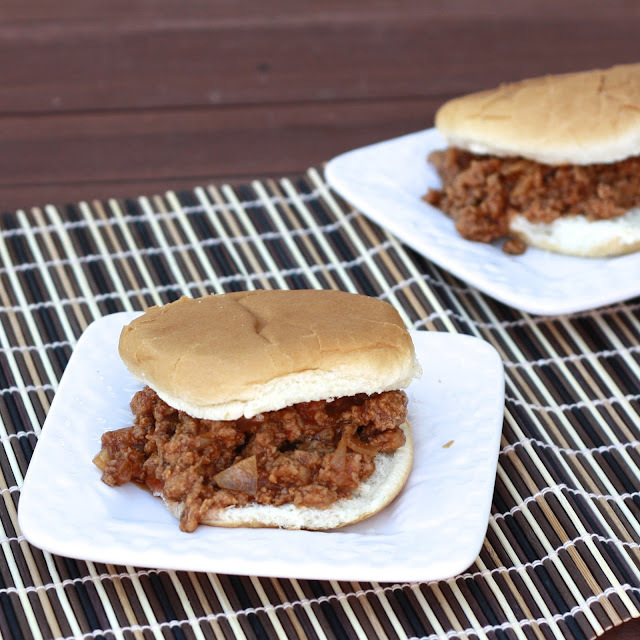 I used a pretty spicy BBQ sauce, which added a lot more heat than most sloppy joes. These make a great weeknight meal because they’ll be ready in less than 30 minutes…save yourself some time this week, double the recipe, and reheat the leftovers! 1. Heat oil in a large skillet over medium-high heat. Add the turkey, garlic, and onion, and cook, breaking up the meat with a wooden spoon, until browned (3-5 minutes). 2. Mix in the tomato sauce, brown sugar, BBQ sauce, and Worcestershire into the turkey mixture. Season with 1/2 tsp salt and 1/4 tsp pepper. Reduce heat and simmer until thickened, 3-5 minutes. 3. Serve the turkey mixture on buns.